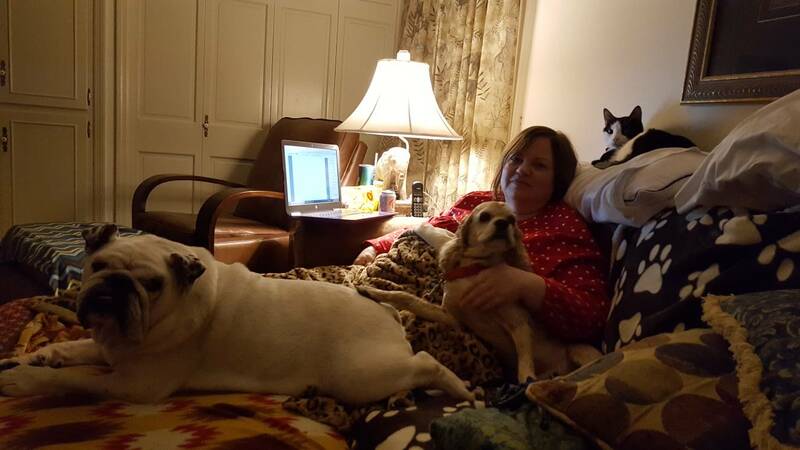 The fur-babies like to snuggle with mommy! That makes for a happy mommy!! !